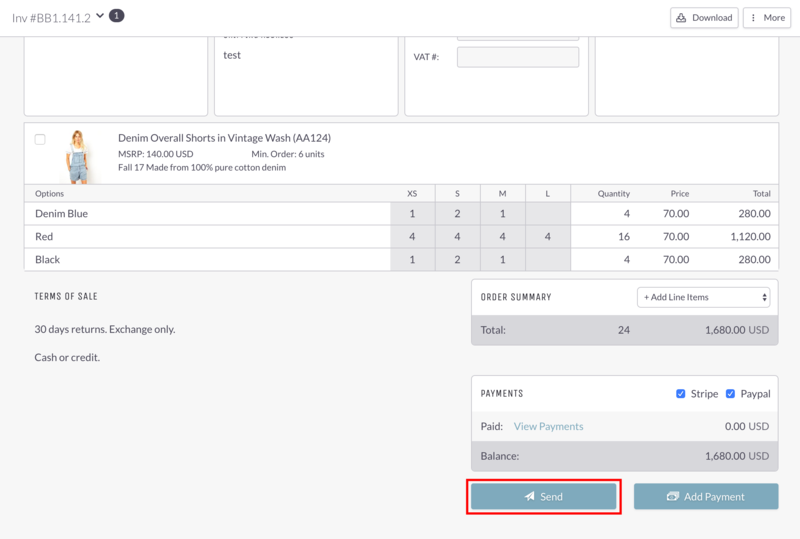 As a Seller, you are able to manually enter your Buyer's credit card information and charge a specific amount using Stripe. Note: Since Paypal requires the Buyer to log in and authorize a payment, it cannot be processed on the Seller side. The "Record a Payment" panel will pop up and allow you to enter the credit card info. Confirm that the Payment Type says "Credit Card (Stripe)" and click in the field for Credit Card. 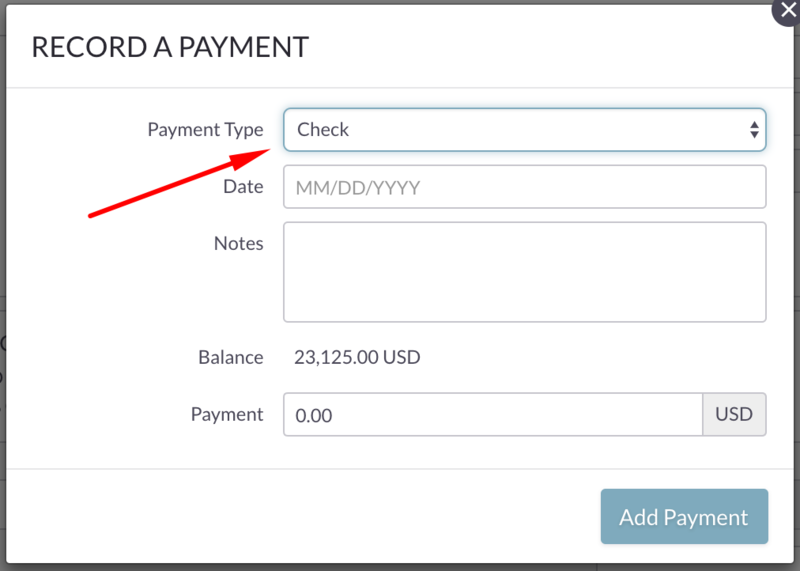 Then enter a payment amount in the last field and click the "Charge Card" button. 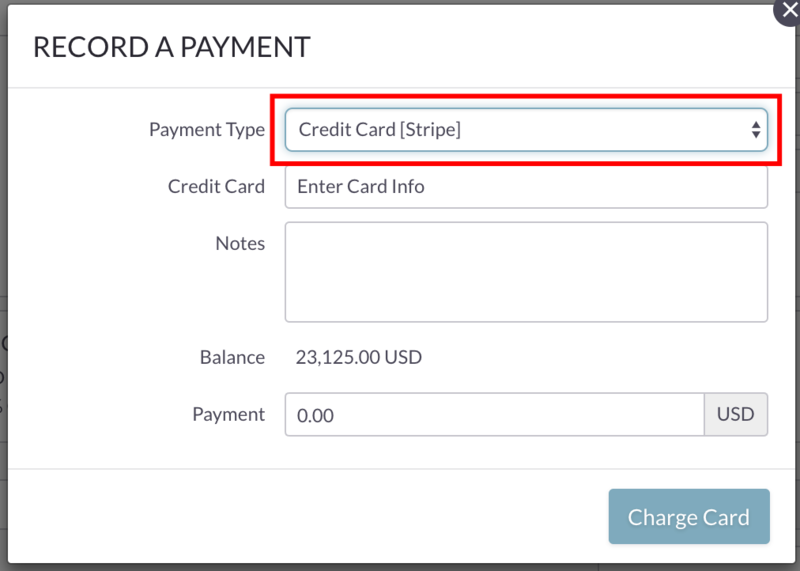 Follow the steps above to "Add Payment," but instead of selecting Stripe, simply use any other Payment Type. This option is only available if you have already sent the Invoice to your Buyer. 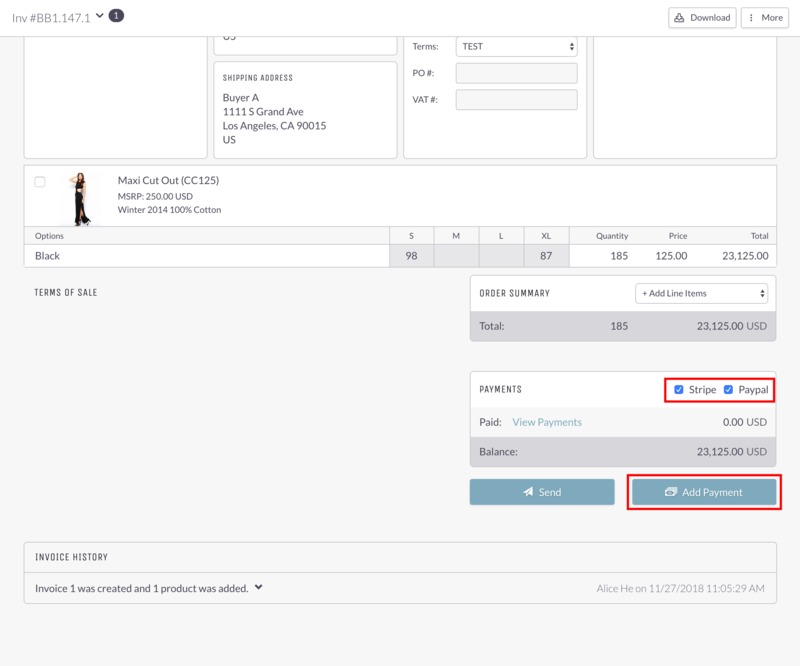 Click "Send" on the invoice to make sure the Buyer is aware of the Invoice. 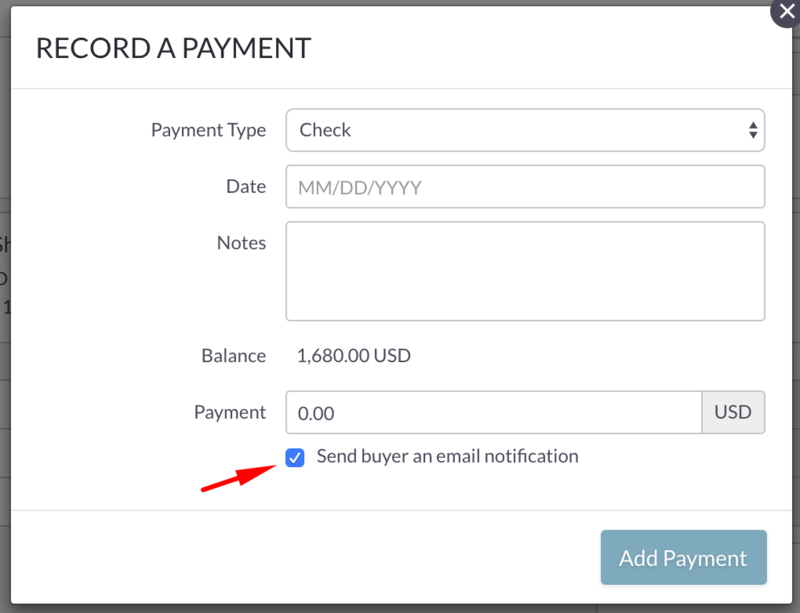 Then, when adding a Payment, you will see a checkbox which allows you to choose whether or not to notify the Buyer.